The cherry pie necklace from Divine Decadence is a sweet summertime accessory. The handmade clay charm is situated on a lengthy silver plated chain. The artist has other dessert inspired jewelry including fruit tart earrings, a chocolate box ring, and cupcake necklace. 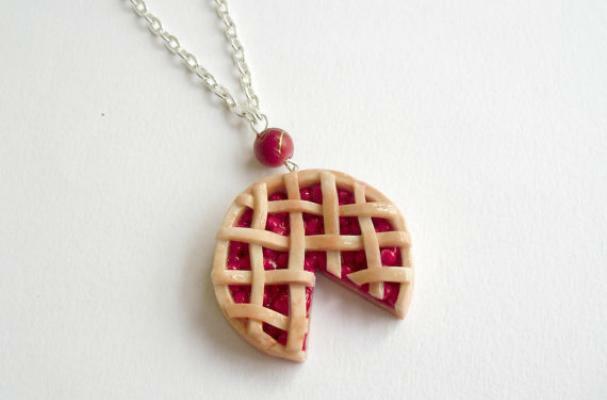 This cherry pie necklace can be purchased online for $20.